Our medical team consisted of 2 general practitioners, a doctor endocrinologist and diabetologist, 1 dental surgeon, 1 physiotherapist and 1 nurse and 1 male nurse. 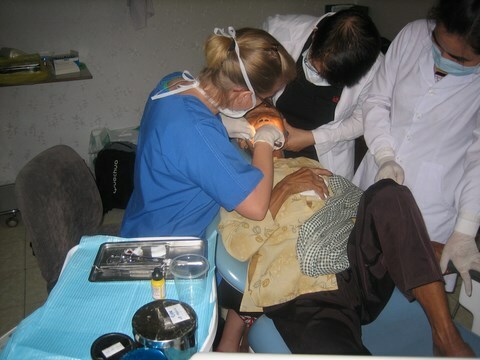 Our medical and dental consultations took place between October 26th and November 7th in Saigon and in the center of high plateaus. 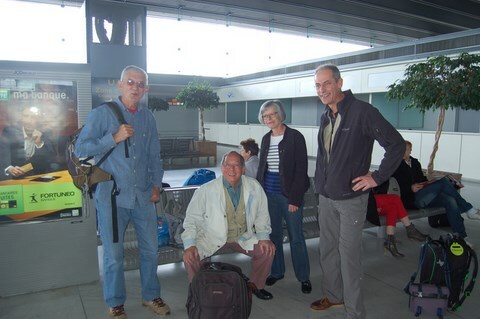 Our team, made up of 5 voluntary members of ADM Vietnam Aquitaine (2 doctors, among a Vietnamese, 1 nurse and 1 male nurse and one not medical one assuring the function of interpreter) left for his medical actions in the region of the center of High plateaus from 16 till 30 April. This stay joins in the continuity of that of the last year in the same region. 1.300 people seen in 10 days by medical consultations were able to benefit from free services of our doctors : consultations - distribution of medicine - prescription of complementary examinations - health records. The absence of a dentist, this year, was smelt with regard to the needs for these populations regarding prevention and care. 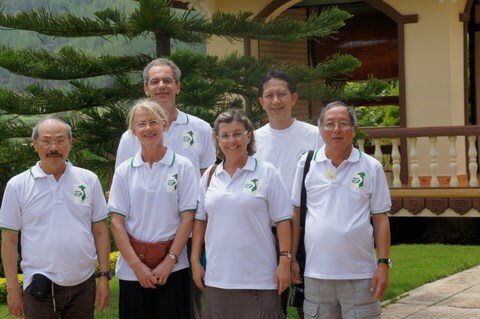 The volunteers worked in association with the CARITAS and the Vietnamese Red Cross who organized upstream the program of consultations. The Local Authorities supplied us places. This action was also the opportunity for our volunteers to reach the populations in their villages. These local partners relieve our spots and allow us to be more effective. They discover our way of working and seem to appreciate it. In conclusion, our efforts were rewarded by smiles, looks of gratitude and of the thanks. The successive actions bring us the experienceand the research for improvements of our interventions. Thanks to all the participants for their dedication. Six voluntary people have just lived a beautiful human adventure made of exchanges, feelings and meaningful looks. To assure the progress of this stay, three doctors, a dentist and not medical two not medical persons intervened last May in the region of the High plateaus of Vietnam. "We proceeded to medical consultations, preventions and dental treatment with orphanages. We went in a day center for deficient children (blind persons, deaf and mutes persons, people with Down syndrome, persons suffering from hydrocephalus, mentally handicapped persons) as well as in a health center and villages at the edge of riziéres. Since our return, we establish several medical and social reports to prepare the next actions." This stay of six volunteers will have allowed to make prescriptions, to proceed to distributions of medicine, toothbrushes and toothpaste with a follow-up on health records and prescriptions for complementary examinations, to make social donations and to organize meetings with the local actors. The contacts multiply, the work will not be lacking for the missionaries.
" In the same time, in the medical and social sectors, we shall develop the Francophony with the French-speaking population and the high school, medical and not medical students. We need all to help this part of the Vietnamese population very deprived " specifies the president. Realization of medical and social reports by a team of doctors and not doctors. An ADM Vietnam Aquitaine's member, doctor, participated in this action.